In Lari the cultivation of cherries looks back on a centuries-old tradition. In fact, in this romantic town, with its 9,000 inhabitants, are grown 19 different award-winning varieties. The celebration of the cherry in Lari, in the province of Pisa, which normally takes place on the last weekend in May and the first weekend in June, is one of the oldest festivals in Tuscany. This year it is celebrated from May 29th, till June 6th. During the festival numerous artistic and cultural events are organised. The real protagonist is, of course, the cherry of Lari and its 19 traditional varieties. On the main square stands are set up, where the producers not only offer baskets of fresh cherries, but also products such as jams and liqueurs, that are made from this sweet, red fruit. Besides good food, musical entertainment, contests and night markets are provided. The peculiarities of the soil and climate of the Pisan hills are the basis for the unique cherry varieties of Lari. The farmers of Lari have passed their knowledge and experience about the techniques of cultivation for centuries from generation to generation. With great pride, they are still maintained by the young farmers. The delightful village of Lari is surrounded by a picturesque landscape of fields and vineyards and is situated at an altitude of 130 meters. It is very well accessible from Collesalvetti Ponsacco and Casciana Terme. In addition to delicious cherries the hilly area offers two more treasures: the exquisite Pisan Chianti and first class olive oil. In the times of the Etruscans the idyllic Lari was a strategic axis of the trade routes between Volterra and the lower Arno valley. For this reason, in the Middle Ages the town was a permanent dispute between Volterra, Pisa and Florence, which eventually became the ruler. Thus, after the conquest of Florence, the Castle of the vicars of the twelfth century became a Medici fortress. With its Castle of the vicars, churches and ancient walls Lari evidences its illustrious past untill today. May and June, are two of the best months for a holiday in Tuscany. The calendar is filled with folklore, food and wine events. Particularly noteworthy is the Pisan June. 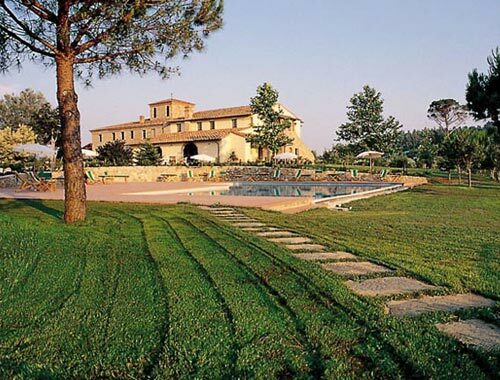 La Mia Toscana offers romantic vacations in farm houses along with a rich sports and cultural program.